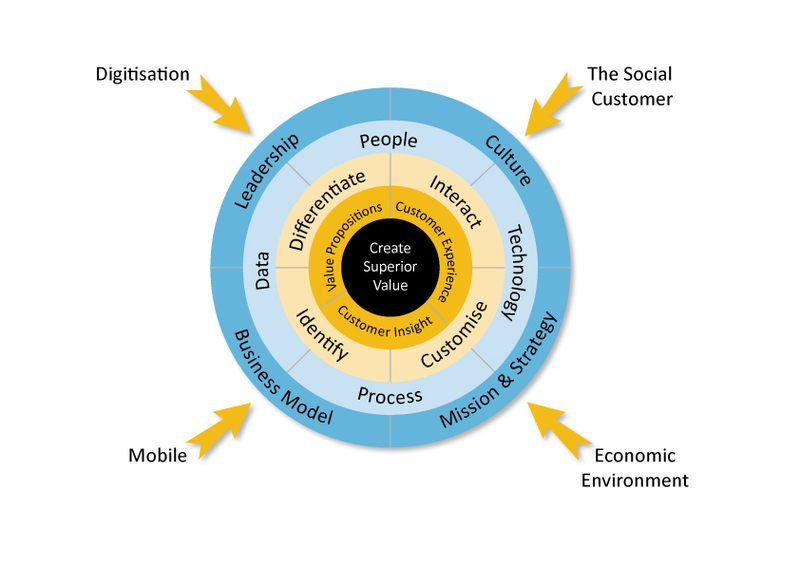 What is the core challenge of authentic customer-centricity? a trustable company must find a business model that allows it to create shareholder value by acting in its customers’ interests. It won’t – and shouldn’t – sell its products or services at a loss, but to be trustable it must be sensitive to the customers’ point of view and try to deliver a fair deal. Whilst I find myself in agreement with what Don and Martha say I cannot help noticing something that strikes me as being false. They say “In the past, companies assumed a gap between what’s good for customers and what’s good for profits.” I disagree. Right now, today, the assumptions is there and the gap is there. This is an issue that needs to be addressed if companies are to become authentically customer-centric and it is not being addressed as the assumption is that authentic customer-centricity will drive down profits and profitability. How do you tell if your organisation is “trustable”? How exactly is a “trustable” company different from a merely “trustworthy” company? How does “trustability” show up in the lives of customers? Amazon: just the other day I was about to buy an ebook for my Kindle and Amazon told me that I had already bought it. I checked and sure enough I already had it. Furthermore, Amazon makes reviews available on all the products it sells – one of the few sites to do so. Apple: if you are about to buy what you have already bought through iTunes then Apple will alert you that you have already purchased it. Also any tracks that you purchased from Apple are protected so that you cannot lose them. And for a small annual fee you can apply the same kind of protection to any and all other tracks that you have stored in iTunes. JacquieLawson.com: an e-card site alerts customers before their credit cards get hit with renewals so that customers who do not wish for the automatic renewal to occur can opt out and thus not get charged! Now compare that with my recent experience in unsubscribing from various lists – the bloggers made it easy, the commercial marketers made it hard. RBC: the Royal Bank of Canada uses its superior insight into its customers to extend automatic overdraft to low risk customers – most of the customer base. And RBC does not charge a fee for this and in the process forgoes revenue from penalties that most other banks rely on. Why should you make the effort to be a “trustable” company? For my part I do not think that these companies will be ‘prosecuted’ as the law and the lawmakers have shown themselves to be pretty lax and advocates for ‘business as usual’. I am of the view that the ‘public’ will name and shame companies and even persecute some of them – showing up the gap between fine words and the not so fine deeds. Like was done with facebook (privacy), Netflix (price hike, division into two businesses, Shell (Nigeria/North Sea), Apple (Foxconn)…… And the tools they will use? Smart phones, tablets, PCs and social media/networks. I believe this is Don and Martha’s point – radical transparency will force companies to change. What do I say about what Don and Martha say? This diagram is my way of saying that the world has changed and four environment pressures (digitisation, mobile/smartphones, the social customer, the economic environment of austerity) will force companies to revisit/rethink/revise/transform four critical domains of organisational life: Leadership, Business Model, Mission & Strategy, and Culture. I see these as interconnected. Only when these dimensions are adequately addressed does it make sense to start making adjustments in the People, Process, Data and Technology domains. However, this is pretty much the opposite of what organisations have done in the realms of CRM, Customer Experience, Customer Focus and Customer-Centricity which is why so few companies are loved. Really how many brands/companies would leave a hole in the lives/hearts of their customers if they ceased to exist? Which is pretty much why there is little or no real (emotional as opposed to behavioural) loyalty. Excellent thinking! Well written. Your remark, ” being untrustable can be highly profitable – in the short term anyway” resonates with me. Yes, in the short term. In Second Life (a virtual world where I interact), everyone is anonymous and can look any way they want, even cloak themselves in a style that portrays trust. However, even in this artificial world you quickly learn who can be trusted and who is worthy of trust. You have a wonderful and refreshing message. Next Next post: Customer loyalty and advocacy: what can we learn from Jonathan Ive and Zappos?